A versatile pianist who has worked with singers, symphony orchestras, and jazz groups, David Budway, also has worked with drummer Jeff "Tain" Watts and Hubert Laws, in addition to recording several self-issued CDs prior to this Maxjazz release. 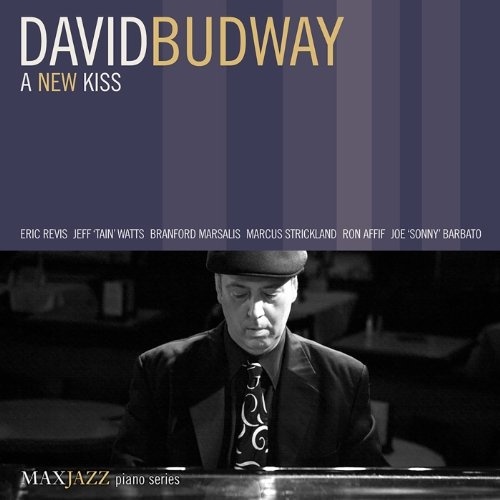 With Watts and bassist Eric Revis as his rhythm section mates, Budway's session is filled with striking, thoughtful originals and well-conceived settings of familiar works. Marcus Strickland guests on soprano sax for his turbocharged "Japanese Brunch," which is marked by its tense post-bop rhythm and the leader's darting piano. Branford Marsalis is the soprano saxophonist for Budway's melancholy "Lonely Cane," a spacious ballad with an emotional impact. His trio ballad, "Love You Tonight," suggests a couple's romantic walk along a deserted beach, with Budway's lyrical piano perfectly accompanied by the spacious, intuitive playing of Revis and Watts. "Stinky" is an engaging, uptempo blend of Afro-Cuban jazz and bop, while the upbeat "Maintain Speed Through Tunnel" is powered by the rhythm team's funky undercurrent. With so many versions of "'Round Midnight" available, some critics have suggested avoiding this Monk classic; Budway's intricate solo arrangement indicates there are plenty of new paths to explore within this jazz standard. Likewise, the pianist's imaginative solo rendition of Cole Porter's "You'd Be So Nice to Come Home To" is full of surprises. This is a fine date by David Budway, a jazz musician deserving of wider recognition.